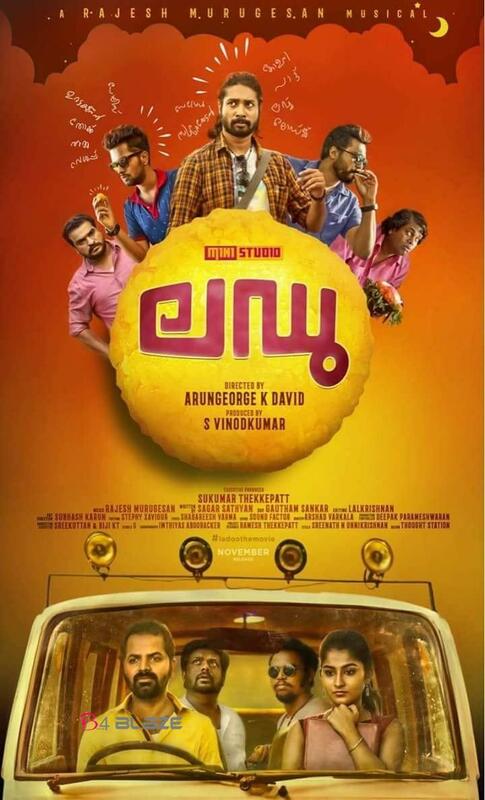 Ladoo is a 2018 Indian Malayalam-language romantic comedy film directed by debutant Arungeorge K David and produced by S Vinod Kumar through the production studio Mini Studio. The film stars Vinay Forrt, Shabareesh Varma and Balu Varghese in the lead roles. Rajesh Murugesan composes the music and Gautham Sankar is the cinematographer.Bobby Simha and Dileesh Pothan plays other important roles. Newcomer Gayathri Ashok plays the lead heroine. Lal Krishnan is the editor. 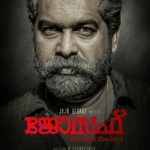 Review: From marriage to childbirth or a house warming, what happy occasion has a Malayali wrapped up without a simple and sweet laddoo. That could exactly be what the makers of this Ladoo aimed for – a movie bursting in its seams out of sweetness held together by a simple and non-boastful star cast. What more could a bunch of passionate debutants ask for! But does the end-product hit the mark, or is it a hit and miss? Vinu and Angeline, a couple in love, decide to run off and get married. Ladoo is the story of the chaos they invariably cause with the elopement and how they deal with it. 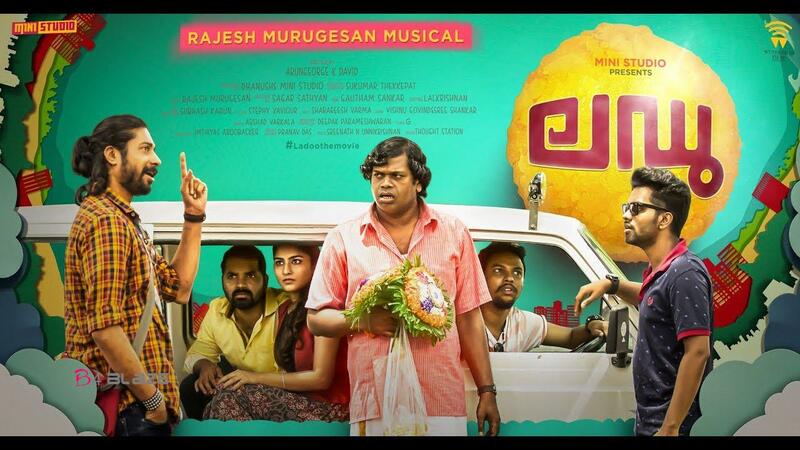 Directed by debutante Arungeorge K David, Ladoo is written by Sagar Sathyan. If Ladoo intends to make you laugh, then the writer has taken his job a tad too seriously, because you laugh hard from the word go! You know a comedy hits its mark when it has recall value even after you’ve left the theatre. And Ladoo does that for you. The movie reflects youthfulness from the cast and crew in each frame, right from the art direction to the song visualisation. And, kudos to the team for reintroducing the Omni van as a nostalgic motif reminiscent of the Mumbai underworld stories of the 90s. Gautham Sankar puts in his best foot forward to enhance the cinematography. In Ladoo, Shabareesh Varma who portrays SK, an Allu Arjun fan, possibly plays his career best role so far. His character is funny and unique. Vinay Forrt as Vinu and Balu Varghese as Rahul are in their comfort zones, playing characters they are all too familiar with. Manoj Guinness is adorable as Lovlesh. The leading lady Gayathri Ashok lives up to her character. But, if only the script allowed her, she really misses out on having to do much in the narrative. While the first half runs smoothly, the second half struggles to keep the pace. And, as the laughs mellow down and the story tries to take the centre stage the narrative stumbles in trying to emote. Laughs aside, the story starts losing focus in actually telling a story. Along with his acting, the multi-tasker Shabareesh Varma also pens the songs in Ladoo. However, the music by Rajesh Murugesan does no heavy lifting for the movie. A sweet and simple comedy, Ladoo is what will make you laugh your guts out this weekend. Can’t care much for the story, but the movie will absolutely crack you up and will make the time you spend worth your while. Vijay Superum Pournamiyum Second Trailer Now Trending in Social Media…. Ramya Krishnan In Vijay Sethupathi’s Super Deluxe ! !